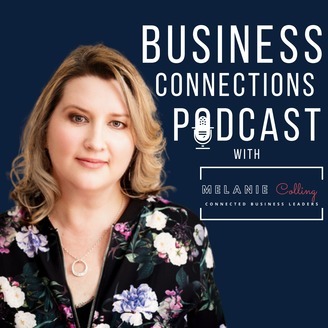 Welcome to The Business Connections Podcast where we help you connect the dots in your business. In business we make connections every day - we connect with customers, we connect with partners and providers, we connect ideas, we even connect problems with solutions. Without connections, nothing happens. Listen in as we connect you with some of the best minds in business and share the secrets behind their success. George Vumbaca owns and runs a successful Real Estate business but his passion is health and wellness and now he wants to impact the world, one connection at a time via his app, Xhuma. He started working on his passion project 18 months ago, an app designed to connect people through an activity or common interest. As a Star profile (Wealth Dynamics) George has a knack for connecting people and supporting people. So rather than going against his natural flow of connection, as he has in the past, George is now stepping into his flow and empowering connection via his app. Business runs in his family and George is no stranger to hard work and the challenges and rewards of owning and running your own business. Yet through a series of life events George found himself in a mentally challenging position. He moved through this phase of his life by reading personal development books, attending courses, self reflection and working with coaches, where he came to realise that health and wellness was where he ‘came alive’. Doing good for others made him feel good too! The challenge now is to get the Xhuma app out there and to get people understanding what it is about and how they can use it. While the focus is on the Sydney area initially, George hopes that more areas will be covered and more people will be able to connect to local people and activities more easily. In the short term he hopes to get 100,00 people using his app in the Sydney area. You can’t change the past, so learn from your mistakes and move on! And his final message….Get out and make new friends, memories and experiences. Download the app today! 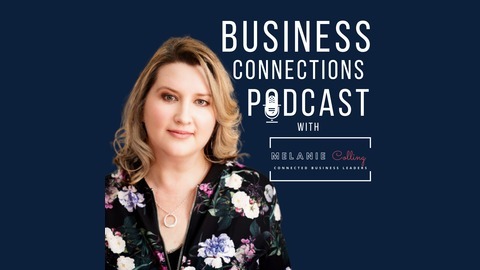 At the Business Connections Podcast we are all about sharing stories that demonstrate the power of connection. We thank George for being generous with his time and sharing his story with us all. We wish George all the very best with all his business and look forward to seeing his app connect and motivate many others! Eileen Forrestal Interview - It’s time to Wake up!